The Great Northern Catskills of Greene County offer adventure all summer long – from sightseeing tours on the legendary Hudson River, to moonlit paddling excursions and hiking trails that wind to panoramic vistas with 360-degree views. Beat the back-to-school blues in Greene County and cool off in the Adventure Capital of the Catskills. Sail along the Hudson River and explore Catskill Creek, one of the river’s most scenic tributaries, offering access to Greene County’s waterfront communities, restaurants, shops and scenic parks. The Great Northern Catskill’s Waterfront Guide offers invaluable information for boaters, including the locations of full-service marinas, restaurants, shopping districts and nearby attractions. Just download, print and set sail along one of North America’s most scenic and historic rivers. Hudson Cruises Inc. offers sightseeing boat tours along the river on select weekends, and invites visitors to climb aboard the Little Spirit of the Hudson for day or evening excursions, complete with an on-board murder mystery show, or just in time to relax with friends and enjoy the view. This Saturday, August 10, join in one of three guided excursions to the Hudson-Athens Lighthouse and discover the fascinating history of the lighthouse keeper as told by his daughter, Emily Brunner. Tours leave from the Athens Riverfront Park every hour from 11:30 am to 2:30 pm. Reservations are suggested and tickets cost $25 for adults, $5 for children. Lighthouse excursions are also scheduled for September 14 and October 12. Paddlehead Boards in Athens, NY sponsors paddling events and stand-up paddle boarding (SUP) excursions, as well as providing canoe, kayak and SUP rentals. On August 20, join the Paddle Club for an evening of excitement, refreshments and full moon fun with a SUP trip around the Hudson River. Perfect your SUP skills and paddle like a pro on the legendary river as the sun sets and the full moon rises. The group will depart from Paddlhead Board’s storefront at 6 pm. Admission is $60 and includes a paddleboard rental, food and refreshments. For more information about this and other paddling events, visit www.greatnortherncatskills.com. Starting from the banks of the Hudson River, travel into the mountains for family-friendly fun at Greene County’s premier lakeside destination – North-South Lake State Park. Situated within a few steps of many popular Catskills hiking trails, North-South Lake offers the ideal mountain getaway. Enjoy easy access to popular Catskill hiking trails, paddle the scenic lakeshore and enjoy a Catskills camping trip at one of the 200 campsites available throughout the park. Don’t miss New York’s #1 Water Park, the Zoom Flume Water Park in East Durham, offering family-friendly fun and relaxation, with water attractions, games and more. Experience the thrill of shooting down waterslides bearing names like the “Black Vortex,” or spend an afternoon by the Lazy River with a good book. Open through Labor Day, the Zoom Flume caters to families and groups looking to beat the back-to-school blues by making a splash. For ticket information, canoe and kayak rentals and lodging packages, visit: www.GreatNorthernCatskills.com. Greene County is located in the Great Northern Catskill Mountains and the verdant Hudson River Valley. The region is home to five of the 10 highest Catskill Peaks and the Catskill State Park and is known as the nation’s first wilderness. Renowned as the home of Thomas Cole’s Hudson River School and the inspiration for Washington Irving’s literary legend, Rip Van Winkle, the Catskills are a haven for outdoor recreation and artistic inspiration. Now through October 13, visitors can share their own legendary adventures through the Adventure Passport Contest. Log on to: passport.GreatNorthernCatskills.com/contest for details and the chance to win a grand prize seasonal getaway to Greene County. 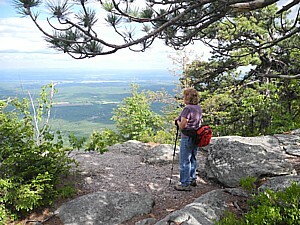 Discover the Catskills and Awaken to Adventure at www.GreatNorthernCatskills.com. This entry was posted on August 20, 2013 at 10:49 pm and is filed under exploravacation, fall foliage travel, hiking, New York State tourism, river cruises, river rafting. You can follow any responses to this entry through the RSS 2.0 feed. You can leave a response, or trackback from your own site.